With the current distemper outbreaks around South Africa, and cases piling up in the Kwa-Zulu Natal area especially, it is vital for pet owners to stay informed and educated on the seriousness of this life-threatening and contagious virus. Even in cases where dogs survive the acute viral attack, certain instances could leave your precious fur-baby with seizures and brain damage if inoculations aren’t kept up to date. CDV in short, is a viral disease, which affects the gastrointestinal, respiratory and central nervous systems in dogs. It is highly contagious and is often fatal – very similar to the well-known rabies virus. Puppies between the ages of three and six months are the most susceptible to the disease and are more likely to die than an infected adult dog, however, the typical distemper sufferer is a dog who has not received the proper inoculations at all. CDV is known to be an air-born virus making it easy to transfer and highly contagious. It is able to live in lymph, epithelial and nervous tissue, which means infection can spread through moist breath, saliva, urine and faeces. 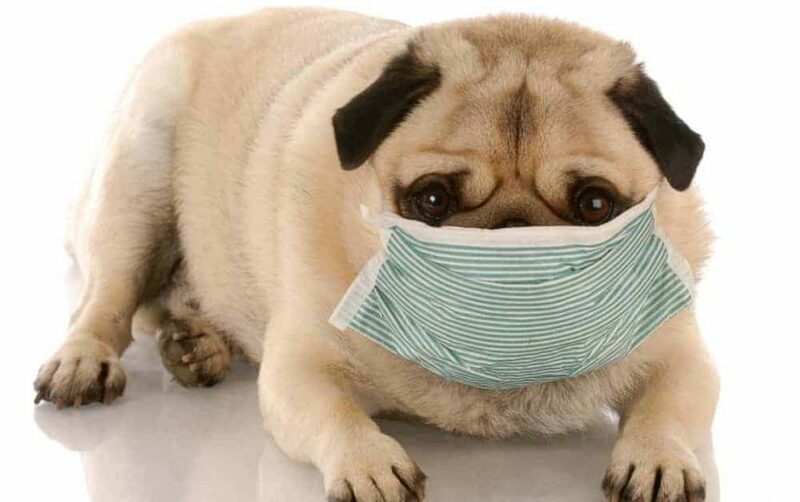 A non-immune dog in contact with the virus may start to be ill 5 to 14 days later. *It is important to note that the virus survives in fluids only for about 20 minutes and is killed by common disinfectants – to avoid transfer it is important to always keep a clean environment for your pets at all times, especially if there is an outbreak in the area. Diagnosing distemper can prove to be very difficult as there are many diseases showing similar symptoms, while some tests for distemper can sometimes return a false positive result. For a definitive diagnosis, a test of the dog’s cerebral spinal fluid is recommended however this test is expensive and can be dangerous for your dog. Most Vets will rely on a clinical diagnosis: checking for symptoms, performing routine tests, and ruling out other diseases by taking a complete history of your dog. – Always make sure that you have your pets’ full vaccination history on hand. Should you notice any combination of these symptoms in your pet, please get them to your local vet ASAP for a check-up and diagnosis. Distemper can be prevented by regular vaccination. The “distemper shot” is generally combined with vaccines for canine parvovirus, parainfluenza, adenovirus 2, leptospirosis, and sometimes coronavirus. Most vets would recommend that pups receive their first shot around 6 to 8 weeks old, and a second at 10 to 12 weeks. This is followed by a booster a year later, and then every 2 years after that. With your inoculations kept up to date you have no real need to fear for your beloved pets’ health in the midst of an outbreak.